Toshiro Mitsutomi was born in Tokyo, Japan. He earned his French degree at Aoyama Gakuin University in 1973, and studied music at Southern Illinois University at Carbondale, and earned his Master's degree of Music at Michigan State University in 1982. From 1980 to 1981, he served as a piccolo soloist at Lansing Symphony Orchestra in Lansing. Michigan, and returned to Tokyo in 1984 to continue his professional career as a recording artist and composer/music critic. Mitsutomi has published 9books up to the present; "Melody Nihonjin-ron(shincho-sha)" "What is Orchestra(shincho-sha)" "What is music genre(shincho-sha)" "Classical music you should konw after 41 years old(shincho-sha)" "Why music makes people happy(shincho-sha)" "Music you've never heard of(seiryu shuppan)" "Inside orchestra(NHK shuppan)" "Miracle starts here, a story about a musician who gives cares to his wife(shincho-sha)"
The sentence of his book has been frequently used as japanese language tests for many schools such as college, highshool, etc. He is definitely one of the most qualified writer/musician in Japan. From 1997 till 2002 Mitsutomi worked as a music director of children's program called "Machikado doremi" & "Nyanchu world" for Japanese public broadcasting station(NHK). 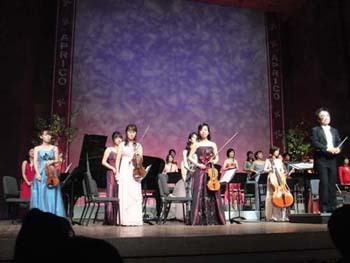 In 2007 Mitsutomi organized an orchestra consisting of female professional musicians only, called FLUMUS, for the purpose of supporting women's professional career. 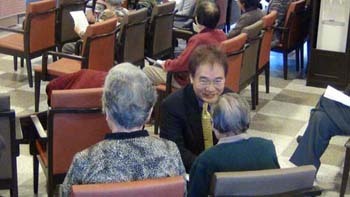 In 2011, Mitsutomi established a project called MUSIC-HOPE, for the purpose of utilizing music for helping seniors and dementia patients with members of the orchestra FLUMUS. He has visited more than 200 nursing homes during his 40 years of career as a professional musician. Especially he has been concentrating on performing with dementia patients , because he believes that music can give one of the best cares to them. 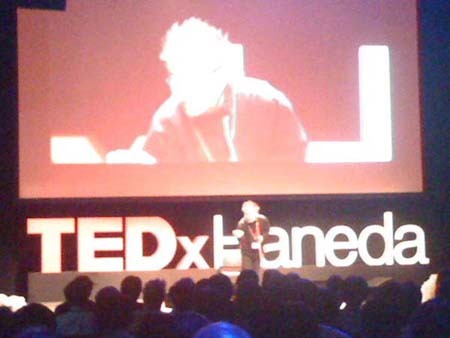 He appeared at the TEDxHANEDA event as one of the speakers in 18th of July 2015, and made a presentation how music works for dementia patients through all his experiences for years.